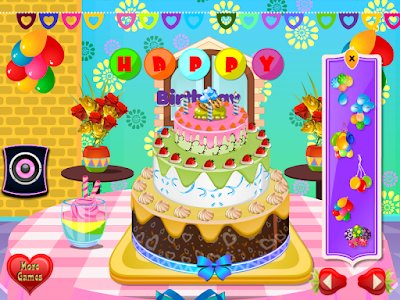 In this game you have to prepare a cake for your friend's birthday. We are not so good in making cakes, so we need you. 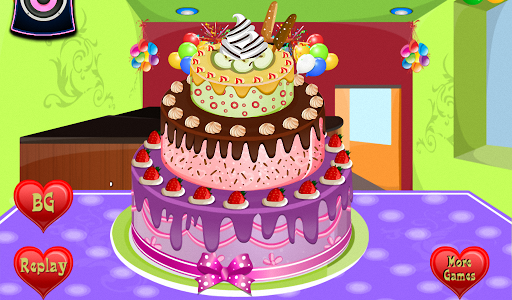 The cake will have three floors and each floor and cream you will have to choose or what bakery items to put on it. 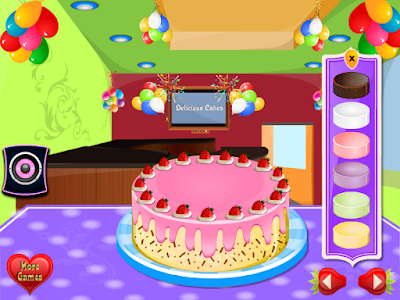 First, you must choose the cake base. You can choose a countertop made of chocolate, vanilla, strawberry, cherry, kiwi and banana. 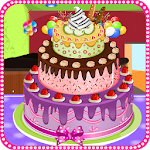 After you choose the cake dough, you must choose the preferred model on which we put on the cake, polka dots, twigs, ice crystal, crown or necklace of hearts. After choosing the model you have to choose and cream to put on this wonderful cake. You can choose between different creams, vanilla, strawberry, cherry or orange. Still you need to put them and some balls of whipped cream: strawberry with whipped cream, dark chocolate, vanilla, strawberry white chocolate raspberries or cherries. 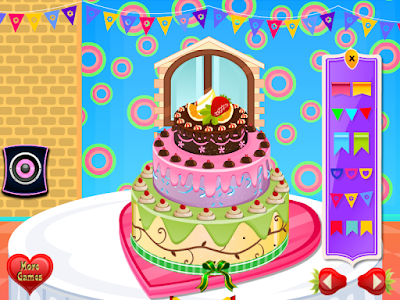 Now you have finished the cake base and you must make the second floor. Again you have to choose another floor. You need choose again for the second floor cream, vanilla, chocolate, strawberry, raspberry, cherry, kiwi and banana. After this you have to put this cream and after that you have to finished the second floor. Follow the third floor which is all the same as the other 2. 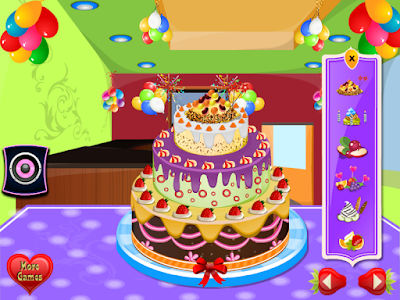 The cake is ready and we hopes to go to our friend. Thank you for your help. 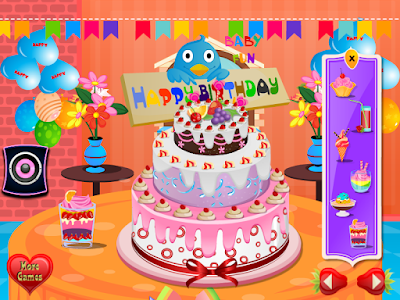 Similar to "Delicious Cake Decoration"